So much has happened in libraries since we opened our doors almost two decades ago. During that time, we’ve changed too. We’ve evolved our computer and print solutions to address the migration to mobile technologies and eCommerce, met the self-service generation head-on with our OneStop™ solution, adapted RFID to be more affordable for smaller libraries with our ProLine series and made it possible for libraries to deliver 24-Hour Library services to patrons who are constantly on-the-go or underserved. We now have a new look and a new website that better reflects the EnvisionWare of today. 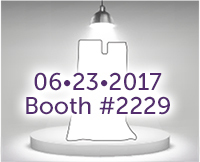 We encourage you to take a tour of our new website, visit us at ALA Annual (booth #2229) and rediscover all that EnvisionWare has to offer. We’re excited to welcome our friend and colleague, John Dexter to the EnvisionWare team as a sales consultant for the North Central region. Many of you know John as the President & COO of Scannx. We’re excited to announce a new addition to our suite of integrated self-service and payment solutions! Copy Payment Manager (CPM) provides patrons with the flexibility to choose how they pay for copies and centralizes financial reporting.